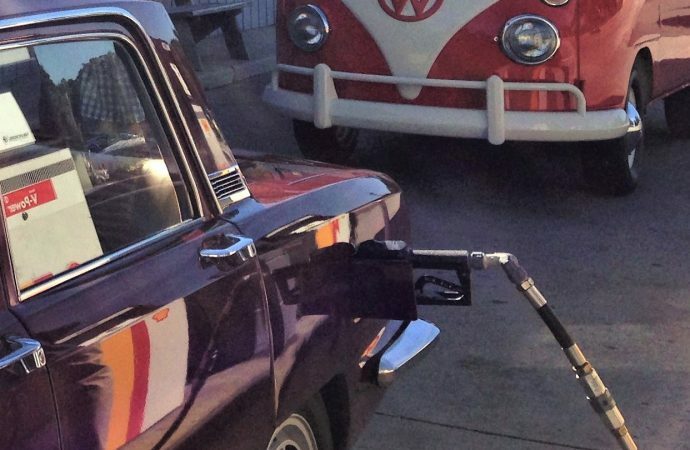 Modern gasolines have become a recurring headache for classic car owners. 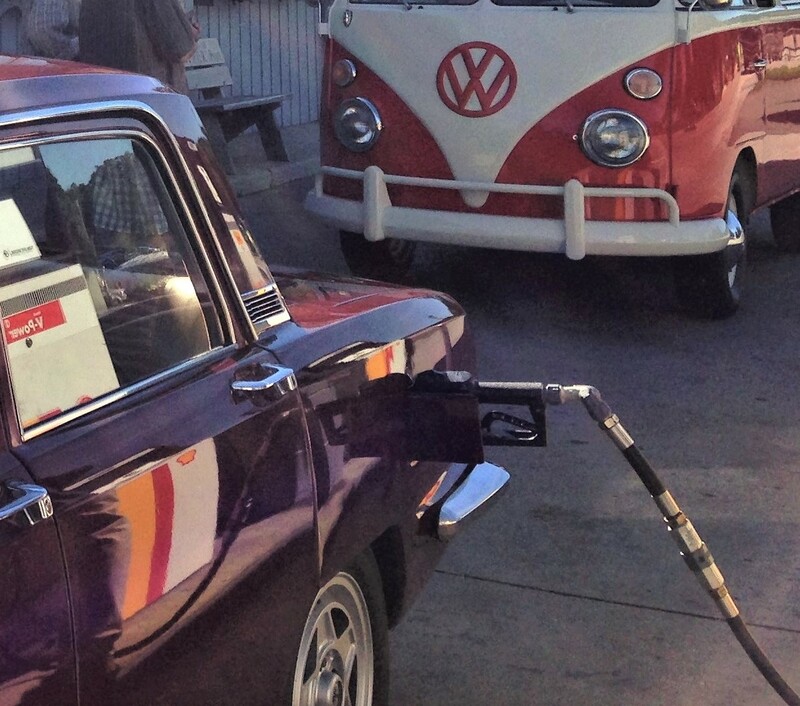 Modern gasolines have become a recurring headache for classic car owners. Low octane and unleaded fuel have presented challenges for years, but federally-mandated 10 percent ethanol content has caused new problems with compatibility in vintage fuel-system components. Recently, Shell Oil Company invited me down to STCH (Shell Technology Center Houston) in Texas to demonstrate what they’re doing to address the needs of the classic car owner with their Shell V-Power Nitro+ premium gasoline. The 200-acre research facility is under heavy security, but once inside the folks are friendly and you feel the camaraderie and sense of purpose between the scientists. I’m in way over my head among the resident PhDs; I feigned some semblance of comprehension as I was shown around the mass-spectrometer, a device used for weighing individual molecules. These people are real car enthusiasts. A flyer for their annual STCH Classic Car show hangs on the cafeteria wall. Everyone is walking around in Ferrari Red lab coats, emblazoned with the famous Shell pecten logo. Shell is Ferrari’s partner in Formula 1 Racing, as well as an R&D collaborator. It’s sometimes hard to tell where Shell stops and Ferrari starts. To discuss fuel, it’s important to understand that it’s a highly engineered concoction – not unlike a medicine – that uses base gasoline stock plus an additive package. The portions are precisely balanced to interact effectively. Like cooking chili, adding more of one ingredient does not necessarily improve the end product. Simply adding octane, or eliminating ethanol, is not the answer. V-Power Nitro+ is available nationwide in 91 to 93 octane and was first introduced at a massive rollout in Times Square in 2015. Since then, the Shell scientists have been accumulating lab data and real-world experiences amongst a variety of vehicles and applications. In particular, they’ve noted some interesting effects on older carbureted engines with higher miles. Of special interest to classic car owners is the detergent additive in V-Power Nitro+ fuel. The blend features seven times the EPA-mandated LAC (Low Additive Concentration) found in standard gasoline. Combined with an anti-wear protector, the fuel has been found to have a rehabilitative effect on gunked-up (yes, that’s a technical term) valves and intake chambers, with data showing it removes as much as 60 percent of deposits from the valve area after just the first tankful. Similar claims are made for high-detergent premium fuels from such producers as Chevron and BP. Carbon deposits are like coral reefs that build up on the valves and valve area. These porous structures absorb unburnt fuel which act as hot spots and can cause pre-ignition and detonation, potentially ruining an engine. These deposits also impede the swirl effect needed for optimal fuel atomization, hinder compression sealing, impede heat dissipation, and add grams of weight which can imbalance the valvetrain. In short, a rough-running, ill-performing engine. I witnessed the cleaning effect a few months earlier, when Shell did a live test with a 2015 Charger specially modified with twin, isolated fuel systems. One side of the V6 engine burned “other guy’s” premium, and the other side burned V-Power Nitro+. They drove the car 1,500 miles, pulled the fuel rails off, and stuck a borescope down into the intake valve area. I was there to take these photos, showing the lunar-like surface of the “other” fuels versus the machine-shop fresh finish of the V-Power Nitro+ side. Seeing was believing. Ethanol, the oxygenator of choice since MTBE was abandoned in 2005, is a hygroscopic compound. It attracts water into your fuel system. Shell counters this with a corrosion inhibitor in V-Power gasoline, I was told, that also has a sheathing effect on the rubber, plastic and silicone compounds in fuel hose and carburetor seals, areas which have been known to react adversely to ethanol in classic cars. There is anecdotal evidence that V-Power Nitro+ may clean and lubricate carburetor needles and seats, and de-gunk piston crowns and rings, improving compression and piston flame-front. It’s unknown how well the anti-wear additive might lubricate non-hardened valve seats in classic cars, according to Shell. The Shell scientists are intrigued, but they face a cost-benefit analysis in quantifying the data; classic cars comprise only a fractional market share, making research hard to justify. Nonetheless, glowing reports flood into the Shell 1-888 GOSHELL information line from classic car owners. The experiment is easy enough to continue; try a tank of Shell V-Power Nitro+ and note improvements.